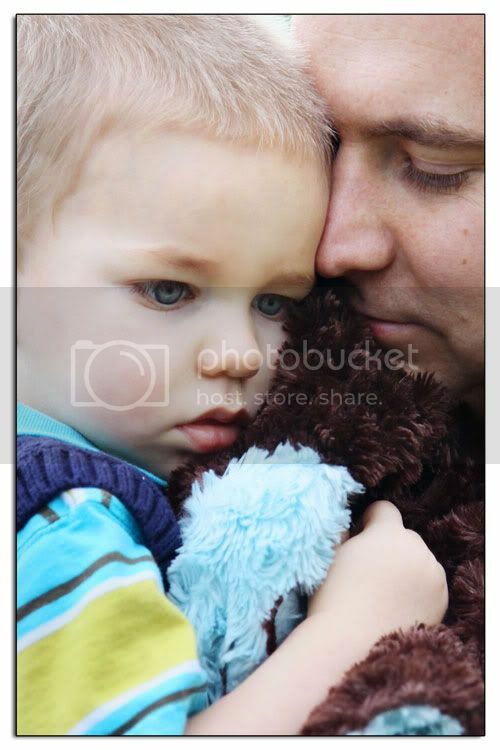 Misson: Get yourself some updated family photos! During our recent trip to California over spring break we stopped and visited some friends who live in our old town of Redlands. This is always bittersweet because we don’t have enough time to see everyone we would want and never have as much time as we would like to visit with those that we do see. That said, it was really lovely to catch up with the two families we saw. As a wonderful bonus, the orange trees were in bloom and the smell is nothing less then heavenly! One of the friends we visited also happens to be an amazing photographer (and an amazing mom—read more about her story here). 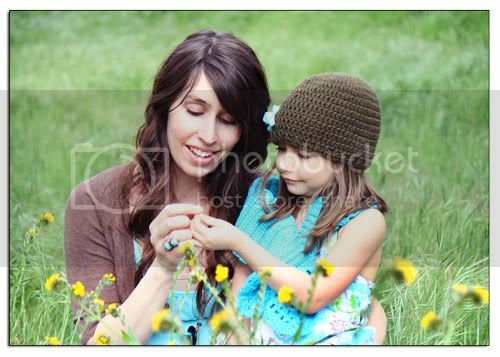 I happened to come prepared for a family photo shoot and she was kind enough to take us to a beautiful grassy field nearby to capture some memories. She had her work cut out for her as she attempted to get a shot with everyone together and looking at the camera at the same time (a difficult task with three young kids)! Quinten got distracted and became really interested in showing off his belly, but even that proved to be pretty cute. Including Sawyer’s blanket in our family photos has become a tradition. Quinten was more than willing to help out. And Ashlyn couldn’t help but be captivated by the field of little yellow flowers (especially considering that back home in Idaho our flowers haven’t even started to wake up). 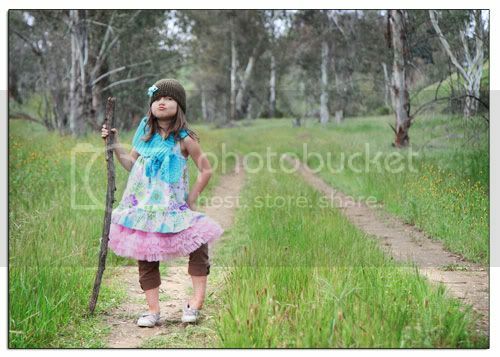 Our little princess defiantly has an outdoorsy side! And Hunter was happy to join in the fun. And as long as we were at it we decided to take a few “maternity photos” (29 weeks). 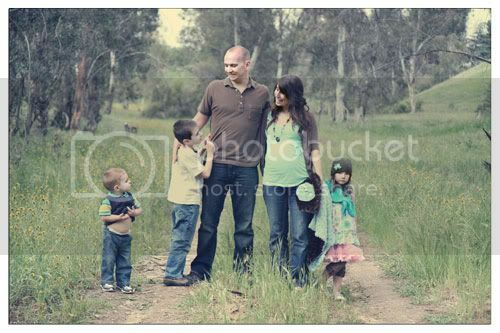 What an amazing blessing it is to capture the growth of our family in the form of photographs. Getting family photos is one of those things that we have to be intentional about or it will never happen. So let me ask you: When was the last time you had family photos taken? Has it been too long? “I have to say… I really think you get what you pay for. I know when I first started my biz in 2005, I charged very little (because I knew little), $150 for all pics on a cd sounded like alot, but when I realized how much time and all the expenses involved, I wasn’t making anything. for reals! It is unfortunate that most people don’t realize all of the expenses involved…. and the time. This article is a really great explanation on “custom” photography and is very accurate. 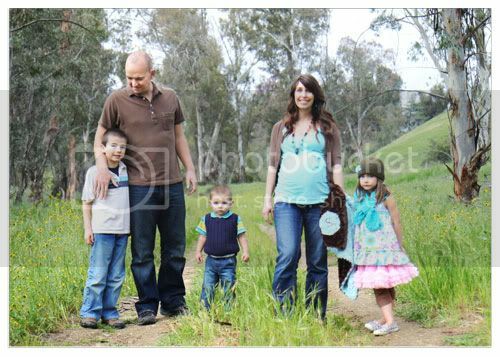 The post Misson: Get yourself some updated family photos! appeared first on Mom4Life Blog.